Soak up the summer sun at Swiftwater Cellars, Summer Concert Series. Swiftwater Cellars offers the ultimate concert experience by combining superb dining, fabulous wines, and a beautiful facility. Whether you are dancing under the stars or sipping wines to the tunes, you’ll find each and every performance presents a memorable evening of entertainment. 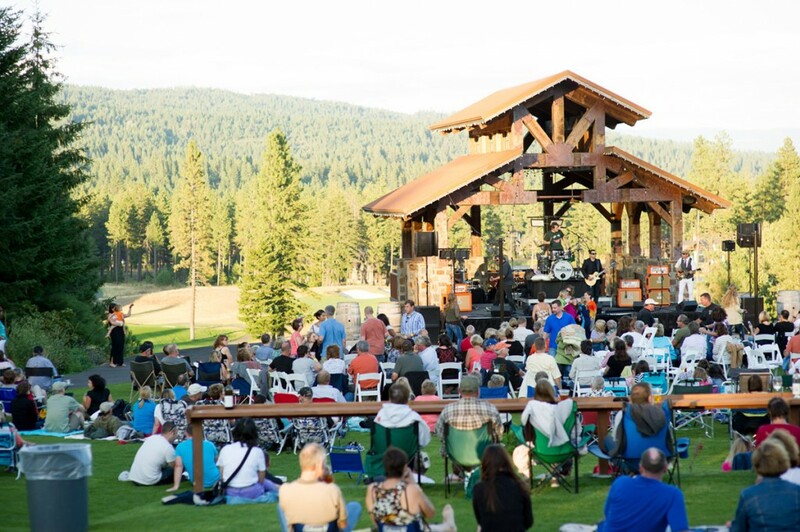 Nestled in the cascade foothills, our 2500 seat amphitheater built in 2012; features everything from top name headliners to regional acts, playing country, jazz and rock- n-roll music. Guests will have an opportunity to enjoy VIP and General Admission tickets, private party options, tableside wine service and much more! Looking for a unique venue for a private corporate concert? Get intimate with the band in our beautiful outdoor space, with easy access to lodging, shuttles and much more! Contact us Today.